Having a BFA degree in Interior Design gives me a unique prospective when helping my buyers or sellers. Whether it is envisioning the home of one's dreams or staging a home for sell, Beth Drake Real Estate offers professional customer oriented service. Chris started her real estate career in Hilton Head Island in 1986 after relocating from New York. She has been a dedicated, full time and award winning Realtor for over 30 years. She works with both Buyers and Sellers and is well known for her expert listening and communication skills. Living in Sea Pines, Chris specializes in on-island properties within the gated areas. Her son was born and raised on the island and Chris is well versed in all aspects of island life. There is no substitute for experience and with experience comes knowledge! Linda has both of these and so much more to offer a buyer or seller of real estate in the Lowcountry. Linda arrived here in 1985 and she has been active in the real estate community ever since. Linda served on the SC Board of Directors, the Hilton Head Area Association of Realtors Board of Directors and she served as President in 2008. 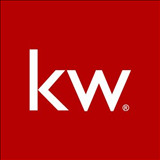 Linda is a founding partner in the Keller Williams Realty Hilton Head and Lowcountry offices. She is ready to assist you with all your real estate needs. Please allow me to show you the Lowcountry of South Carolina. I have years of experience in Real Estate on the island in all areas of property. From villas to oceanfront homes I will be happy to help you with the intricacies and introduce you to the pleasures of buying a home here on the island or in Bluffton! Like most Islanders, Sheri and Mark Nixon visited Hilton Head Island and immediately envisioned all that Hilton Head had to offer them and their family. Beyond the abundant and luscious natural settings of this beautiful island lives a community of thoughtful, caring people who contribute daily to making this a special place to call home. Sheri has helped other families just like yours, find that perfect home, become part of the community and start enjoying their new "island lifestyle". As a real estate professional, Sheri excelled by closing over $26 million in just 3 years and is on track to meet those numbers in 2013. She is in the top 5% of Realtors in the Hilton Head MLS. Sheri was elected as a Board Member of the Hilton Head Area Association of Realtors and she also has several designations: Internet Marketing Specialist, Short Sale and Foreclosure Resource, Resort and Second Home Property Specialist and Accredited Buyer Representative. Sheri has also been selected as a member of the Keller Williams Realty Hilton Head ALC (Associate Leadership Council). Sheri is also the national representative for Hilton Head Preparatory School. If you are moving into this area, have school age children and are considering a private education, please ask Sheri more about all that Hilton Head Prep has to offer. Contact Sheri by phone/text 843-301-2688.